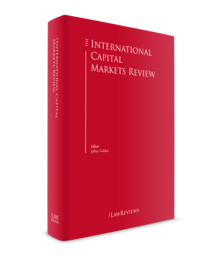 The law governing the Danish capital markets is largely based on EU legislation. Accordingly, many of the regulatory structures will be familiar to capital markets practitioners in other EU Member States. the Act on Managers of Alternative Investment Funds,6 which regulates managers of alternative investment funds and the marketing of alternative investment funds. Securities can be admitted to trading and official listing in two marketplaces in Denmark: NASDAQ Copenhagen A/S (Nasdaq Copenhagen) and NASDAQ First North Denmark (First North).12 Nasdaq Copenhagen is a regulated market, whereas First North is a multilateral trading facility. Thus, First North is not subject to EU Regulations applicable to regulated markets (e.g., the rules in the Markets in Financial Instruments Directive (MiFID)13 or the Transparency Directive).14 Nasdaq Copenhagen is a separate legal entity incorporated under Danish law and a member of NASDAQ Nordic, which in turn is part of NASDAQ, Inc Group. Nasdaq Copenhagen has adopted its own rule books, including rules for issuers of shares, bonds and other types of securities governing, inter alia, the requirements for admission to trading and official listing and disclosure requirements, supplementing the rules in the Capital Markets Act and MAR. The Danish court system has a three-tier hierarchy: (1) the district courts, (2) the two high courts (Eastern High Court and Western High Court) and the Maritime and Commercial Court, and (3) the Supreme Court. Generally, any legal action must be brought before the competent district court as the court of first instance with an option to appeal to the relevant high court. However, legal proceedings involving matters of a principle nature may be referred to a high court in the first instance, and legal proceedings regarding certain commercial matters may be brought directly before the Maritime and Commercial Court, which is seated in Copenhagen. As an alternative to the traditional court system, the Danish Institute of Arbitration operates a permanent arbitration institution that assists in the resolution of national and international arbitrable disputes. Denmark is a contracting state to the New York Convention and Danish arbitration awards are generally enforceable in other New York Convention contracting states. The Danish Financial Supervisory Authority (FSA) is a government agency and part of the Ministry of Industry, Business and Financial Affairs. Its main tasks are to issue required licences and to supervise compliance by financial undertakings, marketplaces and their participants, issuers of securities, and investors. The Danish FSA also plays an important part in the legislation process as it both assists the Ministry of Industry, Business and Financial Affairs with preparing draft bills to be presented to the Danish Parliament and has comprehensive delegated authority to issue executive orders, among other things, supplementing the relevant financial or capital markets legislation. Danmarks Nationalbank is the central bank of Denmark. Its three main objectives are to contribute to ensuring stable prices, safe payments and a stable financial system. The supervisory powers of the Danish FSA are extensive. Not only is it responsible for the authorisation, supervision and conducting of on-site inspections of financial undertakings, its authority also includes the responsibility for monitoring compliance with market abuse prohibitions (e.g., insider trading and price manipulation). The Danish FSA is also empowered to conduct on-site inspections without a court order at the premises of legal entities subject to MAR obligations. It is also vested with the authority to approve prospectuses and offering circulars (for listings and public offerings of securities), to offer documents for public takeover bids, and to pursue possible non-compliance with MAR obligations, as well as takeover and prospectus regulations. In the event of possible violations, the Danish FSA may impose various sanctions on financial undertakings, issuers, investors and other stakeholders, which include administrative fines and withdrawal of licences. The agency also has authority to order that executive managers or board members in financial institutions resign. Violations are also subject to criminal sanctions, which typically result in fines but imprisonment for up to six years is also possible. The majority of alleged violations are handled and resolved by the Danish FSA; only a few cases are appealed to and finally resolved by the ordinary courts. Decisions by the Danish FSA can be tried by the Company Appeals Board, and decisions by the Board can be appealed to the courts. Current cases within the framework of financial regulation include the pending investigation of alleged involvement in money laundering by the Estonian branch of the largest Danish bank, Danske Bank. The matter is being scrutinised by the Danish police and the FSA. Other recent cases include the FSA lifting its previous suspension of the voting rights of a major shareholder in the Danish bank, Totalbanken, and the FSA's rejection of certain persons nominated as managers for financial companies with reference to the fit and proper regulations, which are carefully overseen by the Danish FSA. The predominant court cases initiated by the public prosecutor have been with regard to alleged price manipulation. Within the past few years, Vestjysk Bank, Parken Sport & Entertainment and Neurosearch were convicted, while Sparekassen Himmerland was acquitted. In addition, Nasdaq Copenhagen supervises and imposes sanctions for violations of its rule book, and it is responsible for activities on its markets being conducted in an appropriate manner. Marketplace measures and sanctions include using a matching halt, placing securities on an observation list, issuing reprimands, imposing administrative fines of up to a maximum of 1 million kroner and removal from listing. Initial public offering (IPO) activity in recent years in the Danish capital markets is characterised by a relatively small number of transactions compared to the Nordic countries in general. However, except for a few cases, the IPOs that have taken place have been considerable in terms of market capitalisation compared to the Nordic countries in general. During the second half of 2017, the main market on Nasdaq Copenhagen welcomed Orphazyme and TCM Group followed by Netcompany in Spring 2018. Although KMD and Flying Tiger Copenhagen remain IPO candidates for the main market, Nykredit aborted its plans in connection with the transfer of a significant block of shares to a consortium consisting of Danish pension funds. The shortlist now includes Symphogen, Aquaporin A/S, Adform, Axzon and recently AP Møller – Maersk has announced its intention to spin off Maersk Drilling through an IPO. First North of Nasdaq Copenhagen has continued to attract small cap IPO prospects in 2018 with the admission to trading of NP Investor, Agillic, Happy Helper, Virogates, Odico and Hypefactors. The increase in activity has led to a decline of interest among Danish IPO candidates to go to Sweden. One exception has been Bettercollective, which listed on the main market of Nasdaq Stockholm in Spring 2018, joining peers that are already listed. Payments firm Nets was delisted following completion of a voluntary takeover bid by US private equity (PE) fund Hellman and Friedman. Australian PE and infrastructure fund Macquarie teamed up with certain Danish pension funds in a public bid for telecommunications operator TDC. Macquarie sold its stake in Københavns Lufthavne to a consortium consisting of Danish pension fund ATP and Canadian pension fund OTPP. Former biotech company Neurosearch came under siege as real estate developer Gefion Group and Nordic Transportation Group launched competing takeover bids, the latter being the winner. There have also been takeover bids on Nordjyske Bank and on Glunz & Jensen Holding in 2018. The new Capital Markets Act came into force on 3 January 2018, replacing the Securities Trading Act. The new Act reflects a rewriting of the existing rules and also serves the purpose of implementing MiFID II16 and MiFIR;17 see also 'Reform of capital market regulation because of MAR, MiFID II and MiFIR', below. From a practical point of view, the Act does not represent any significant changes to the existing rule of law, with the exception of the new prospectus regime that the new Prospective Order18 introduces when it becomes effective (for the most part in July 2019). There are, however, two important changes. The first is an increase of the exemption threshold for admittance of new shares to listing from less than 10 per cent to less than 20 per cent, provided the issue is made in the same class of shares as the existing class. The same applies to the related exemption on conversion of instruments into shares of the same class as already listed. The second change is that, effective from 21 July 2018, the threshold for the requirement to publish a prospectus has been increased from €5 million to €8 million. The increase in public-to-private activity in recent years continued in Autumn 2017 and early 2018 with the voluntary public offers on Nets, Neurosearch, TDC, Nordjyske Bank and the mandatory offers on Københavns Lufthavne and Glunz & Jensen Holding. As of January 2018, the new EU Regulation on indices used as benchmarks in financial instruments and financial contracts or to measure the performance of investment funds21 came into effect in Denmark and replaced the existing Danish rules on benchmarks.22 The objective of the new Regulation is to ensure the accuracy and integrity of benchmarks and the process for determining benchmarks and preventing the manipulation of benchmarks and distrust in benchmarks. The new legal framework comprises, inter alia, the prevailing Danish interest rate benchmarks, CIBOR23 and CITA,24 and imposes new requirements on the administrators thereof and benchmark contributors. Sanctions are available to the Danish regulator. The EU Regulation on key information documents for packaged retail and insurance-based investment products (the PRIIPs Regulation)25 came into force in Denmark on 1 January 2018. The objective of the PRIIPs initiative is to improve the protection of retail investors within financial services. The PRIIPs Regulation and related Annexes (Level 2 Measures) set out information to be provided to retail investors with respect to investment products to ensure that a retail investor's purchase of an investment product is made after having had access to clear and reliable information about the investment product. The PRIIPs Regulation applies to banks, insurance companies and management companies, alternative investment fund managers, bond issuers and other service providers producing and offering PRIIPs to retail investors. The service provider is required to prepare a key information document (KID) on each product. A KID provides information about the key characteristics of an investment product, including risks and costs. The document must also specify whether the product can incur losses and include information about the complexity of the product. With respect to investment funds (undertakings for collective investment in transferable securities (UCITS)), the PRIIPs Regulation includes a transitional provision, under which there is no need for investment funds to provide a KID until the end of 2019. It is still unclear whether Denmark, despite being outside the eurozone, will join the European Banking Union and thereby become part of the Single Resolution Mechanism, including the Single Resolution Fund. The Danish government has established an expert committee that will analyse certain aspects related to potential participation in the Banking Union. Based on the committee's analysis and recommendations, which are expected to be available during the course of 2019, the government will decide on Denmark's accession to the Banking Union. Recently, the largest bank in Scandinavia, Nordea, moved its headquarters from Stockholm to Helsinki. According to bank officials, one of the decisive factors for the move was that Finland is a member of the Banking Union. The Capital Markets Act incorporates the parts of MiFID II and MiFIR aimed at increasing investor trade transparency, strengthening the consumer protection level and improving competition between players on the capital markets. The amendments to the Financial Business Act and the Financial Advisers Act incorporate those parts of MiFID II that are regulated in these acts because of the existing implementation in Danish law of MiFID I. Furthermore, a number of executive orders relating to the new legal framework have been issued. More than two years after MAR entered into force (3 July 2016), all the signs suggest that Danish issuers were well prepared for the new MAR regime. Primarily, the larger issuers have established internal disclosure committees vested with powers to decide on inside information issues, comply with formalities on delay of disclosure and the filing of reports thereon to the Danish FSA, etc. The general experience is that companies have increased the threshold for what constitutes inside information and have narrowed not only the group of permanent insiders but also the wider group of ad hoc insiders. However, based on statistics released by the Danish FSA, the two areas in which Danish listed companies have faced challenges with MAR compliance are insider lists and disclosure of inside information. With regard to insider lists, the most frequent errors have been missing information, a lack of information or insufficient reasons for inclusion of individuals on the insider list and inclusion of a too-wide group of individuals as permanent insiders. There is less transparency on the nature of non-compliance with the disclosure rules except that the statistics reveal a significant increase in the number of cases opened by the Danish FSA. One reason for the increase may be that some issuers have struggled with adapting to a MAR disclosure regime that is fundamentally different from the regime and market practice developed under Denmark's previous securities legislation. After a substantial increase in crowdfunding activities during the years from 2011 up to and including 2016, the total amount of funds raised via crowdfunding plateaued at approximately 100 million kroner in 2017. New and sector-specific crowdfunding platforms are emerging and crowdfunding is carefully considered by Danish start-ups as an alternative source of financing. There are currently no indications that new or amended regulations will be introduced in relation to crowdfunding in Denmark. There have not been any significant developments in Denmark in 2018 with respect to the derivatives market. The main focus of financial institutions and counterparties has been to continue ensuring compliance with the applicable requirements of the European Market Infrastructure Regulation30 and the appurtenant regulatory technical standards. The Danish market for securitisations has not experienced any significant activity since the financial crisis, and is not expected to do so in the near future despite the fact that, since January 2014, Danish banks have been able to establish refinancing registers for securitisation purposes by issuing securities backed by pools of loans and credits to enterprises. At the EU level, a result of the EU Commission's efforts to create a capital markets union was an agreement reached on 30 May 2017 between the Parliament, the Council and the Commission on a regulatory package that includes a prospective Commission regulation on securitisation aiming to revive the EU securitisation market. Very few capital markets-related disputes reach the ordinary courts as most disputes and complaints are dealt with in the administrative system. However, Pandora (the jewellery manufacturer and retailer) faced criminal charges for violations of the general disclosure obligation for listed companies in connection with a profit warning, and that was followed by civil actions from frustrated investors claiming damages. After conviction in the court of first instance, the appeal court reversed the judgment and, in 2016, acquitted Pandora in the criminal action. The parallel civil actions have probably been dropped. In the aftermath of OW Bunker's bankruptcy in November 2014 following its IPO in March 2014, two legal proceedings were filed in 2016 by institutional investors against the bankruptcy estate of OW Bunker, and against the former management group and board of directors. In one of these two civil actions, Altor, the PE fund that brought OW Bunker to the stock market, has also been sued. This is novel, and will make it a landmark case likely to go through the appeal system and be finally resolved by the Supreme Court. In the late summer of 2017, institutional investors also took legal actions against the investment banks Morgan Stanley and Carnegie in their capacities as joint global coordinators. Furthermore, the bankruptcy estate announced in November 2017 that it had entered into a funding and profit split arrangement with a hedge fund to commence legal action against Altor and OW Bunker's auditor, Deloitte. Another dispute that has attracted substantial attention is the administrative appellate proceeding in the Company Appeals Board of the decision by Nasdaq Copenhagen to accommodate Mols-Linien's application for the delisting of its shares in the wake of Polaris (a Danish PE fund) completing a public takeover at an acceptance level of approximately 80 per cent. The appeal was made by a frustrated minority shareholder. On 15 August 2016, the Company Appeals Board upheld the delisting decision by Nasdaq Copenhagen. Finally, Novo Nordisk, which has a dual listing on the New York Stock Exchange, was subject to class action litigation filed in the United States in 2017 by frustrated investors, who were claiming damages alleging materially false and misleading earnings and forecasts and misrepresentations, and concealing the true extent of the pricing pressures in the US market. The general rule is that corporations, irrespective of the ownership period, are exempt from tax on dividends and capital gains on shareholdings provided that the shareholding accounts for at least 10 per cent. Dividends received on shareholdings of less than 10 per cent in unaffiliated companies (portfolio shares) and capital gains on listed portfolio shares are subject to corporate income tax. However, only 70 per cent of dividends received on non-listed portfolio shares will be subject to corporate income tax. Capital gains on non-listed portfolio shares are exempt from taxation (exceptions and anti-avoidance rules apply). Dividends and capital gains on treasury shares are tax-exempt. Individuals are subject to tax on all dividends and capital gains on shareholdings. For corporates, the tax on listed portfolio shares will be calculated and paid annually based on a mark-to-market principle, and taxation will take place on an accrual basis even if no shares have been disposed of and no gains or losses have been realised. In recent years, the corporate tax rate has gradually been lowered and is 22 per cent in 2018. For all non-tax residents, capital gains on shareholdings remain tax-exempt irrespective of ownership percentage and ownership duration (certain anti-avoidance rules apply). Generally, foreign corporate shareholders are also exempt from tax on dividends if they hold at least 10 per cent in a Danish company (exceptions and anti-avoidance rules apply). Dividends paid to foreign corporate shareholders holding less than 10 per cent, and dividends paid to individuals, are subject to Danish withholding tax at a rate of 22 per cent. A request for a refund of Danish withholding tax may be made if the company receiving dividends is domiciled in a state with which Denmark has entered into a double taxation treaty. As a main rule, corporate entities are subject to taxation on gains on ordinary claims, bonds, debt and financial debt contracts. Losses on these instruments are deductible in full. However, with respect to intra-group financing, losses on receivables and gains on debts are tax-exempt as a general rule. Corporate entities may elect to calculate the liable taxes on debt using a realisation principle. A mark-to-market principle must be applied for ordinary claims. Individual investors are, in the main, subject to taxation on all capital gains on ordinary claims, bonds, debt and financial debt contracts if the gains exceed 2,000 kroner per year. The right of individual investors to deduct losses on ordinary claims is limited to losses exceeding 2,000 kroner, whereas the right to deduct losses on financial contracts is limited to gains on other financial contracts with a possibility to carry a loss forward to be offset against gains in subsequent income years. For individual investors, the tax will be calculated using a realisation principle as a main rule. The taxpayer may apply for permission to calculate the taxes on a mark-to-market principle (certain conditions apply). On 12 November 2017, the Danish Parliament adopted new tax rules aimed at encouraging further retail investment in non-listed companies, including start-ups, by introducing, inter alia, a share savings account with a flat 17 per cent annual taxation on the mark-to-market year-end balance of the equity investments on the account. The amount that may be deposited in the share savings account is limited to 50,000 kroner (2019) but will increase gradually by 50,000 kroner per year, subject to certain limitations. The new rules will become effective on 1 January 2019. The Bankruptcy Act32 governs the two main types of insolvency proceedings: restructuring and bankruptcy. As part of its opt-outs to certain EU policies, Denmark is not bound by and has not acceded to the EU Insolvency Regulation. The Danish opt-out position was reaffirmed by the Danish people in a referendum in December 2015. However, Denmark has acceded to the Nordic Bankruptcy Convention, which implies that a bankruptcy in Sweden, Norway, Finland or Iceland will also govern a debtor's assets in Denmark. In addition to its primary function as an exchange, Nasdaq Copenhagen assumes many other roles of importance to the proper functioning and development of the capital markets. Some of the provisions of the Capital Markets Act either provide the marketplace with direct powers, however limited, or allow the Danish FSA to delegate certain elements of its authority to a marketplace operator. With respect to market surveillance, there is in effect a duplication of functions, as both Nasdaq Copenhagen and the Danish FSA have sophisticated computerised market surveillance systems in place. Generally, Nasdaq Copenhagen and the Danish FSA also collaborate closely with regard to the legislation process. Currently, no Danish entities are authorised as central counterparties. Denmark assumes no special position in respect of credit rating agencies. These agencies can be registered or certified by the European Banking Authority as external credit assessment institutions and, thus, conduct various valuation tasks for financial institutions as part of their compliance with the EU capital requirement legislation, such as the Capital Requirements Regulation33 and Capital Requirements Directive No. IV,34 implementing the Basel III rules in the European Union. International rating agencies continue to be a determining factor for the larger Danish financial institutions, banks as well as credit mortgage institutions, that make use of the issuance of debt instruments, etc, as part of their funding. The tendency of small cap IPO candidates to look away from Denmark towards Swedish marketplaces with generally higher IPO activity, in combination with pharma and biotech IPO candidates looking for primary listings in the United States owing to peer group and pricing considerations, has, during the past few years, raised a lot of strategic considerations among the exchanges, market participants and politicians trying to identify the reasons for such trends and to find appropriate remedies. The only apparent shift in a trend is the increased listing activity on the First North platform of Nasdaq Copenhagen, despite some criticism of valuations and lack of IPO readiness voiced in the Danish media. Following the bankruptcy of OW Bunker, and in particular the legal proceedings instigated against PE fund Altor, any PE fund is compelled to thoroughly consider whether an IPO is a relevant exit strategy in relation to each of its portfolio companies. Despite market uncertainty from the current US leadership and the uncertainty surrounding the negotiations for implementation of the Brexit referendum decision of June 2016, the capital markets remain largely unaffected. Generally, 2018 has been a strong year in the Danish capital market with the listing of Netcompany on Nasdaq Copenhagen and several small companies on Nasdaq First North Copenhagen, and the expected listing on the main market of Adform and Axzon in the autumn. 1 Peter Lyck is a partner and Brian Jørgensen is a senior associate at Nielsen Nørager Law Firm LLP. 2 Consolidated Act No. 12 of 8 January 2018 as amended. 3 Regulation (EU) No. 596/2014 on market abuse (market abuse regulation). 4 Consolidated Act No. 1140 of 26 September 2017 as amended. 5 Consolidated Act No. 1051 of 25 August 2015, as amended, implementing the EU UCITS Directives. 6 Consolidated Act No. 1074 of 6 July 2016, as amended, implementing the EU Alternative Investment Fund Managers Directive. 7 Executive Order No. 1176 of 31 October 2017. 8 Executive Order No. 684 of 8 June 2016. 9 Executive Order No. 1172 of 31 October 2017. 10 Executive Order No. 1171 of 31 October 2017. 11 Executive Order No. 1170 of 31 October 2017. 12 In addition, an over-the-counter list is operated by Københavns Andelskasse, being one of the smaller Danish financial institutions. 13 Directive 2004/39/EC on markets in financial instruments, as amended. 14 Directive 2013/50/EU on the harmonisation of transparency requirements in relation to information about issuers whose securities are admitted to trading on a regulated market. 15 Regulation (EU) No. 236/2012 on short selling and certain aspects of credit default swaps. 16 Markets in Financial Instruments Directive (2004/39/EC). 17 Markets in Financial Instruments Regulation (No. 600/2014). 18 Regulation (EU) No. 1129/2017 on the prospectus to be published when securities are offered to the public or admitted to trading on a regulated market, and repealing Directive 2003/71/EC. 20 Danish FSA Guidelines No. 9687 of 15 September 2014 on Takeover Bids. 21 Regulation (EU) No. 1011/2016. 22 Executive Order No. 1299/2013. 23 Copenhagen Interbank Offered Rate. 24 Copenhagen Interbank Tomorrow/Next Average. 25 Regulation (EU) No. 1286/2014. 26 Act No. 632 of 8 June 2016. 28 Act No. 665 of 8 June 2017. 29 Directive 2014/91/EU amending Directive 2009/65/EC on the coordination of laws, regulations and administrative provisions relating to undertakings for collective investment in transferable securities (UCITS) as regards depositary functions, remuneration policies and sanctions. 30 Regulation (EU) No. 648/2012 of the European Parliament and of the Council on OTC derivatives, central counterparties and trade repositories. 31 Rates as applicable in 2018. 32 Consolidated Act No. 11 of 6 January 2014, as amended. 33 Regulation (EU) No. 575/2013 on prudential requirements for credit institutions and investment firms. 34 Directive 2013/36/EU on access to the activity of credit institutions and the prudential supervision of credit institutions and investment firms.